IMAS scientists have for the first time published a stand-alone assessment report for the Tasmanian Banded Morwong Fishery for 2016/17. 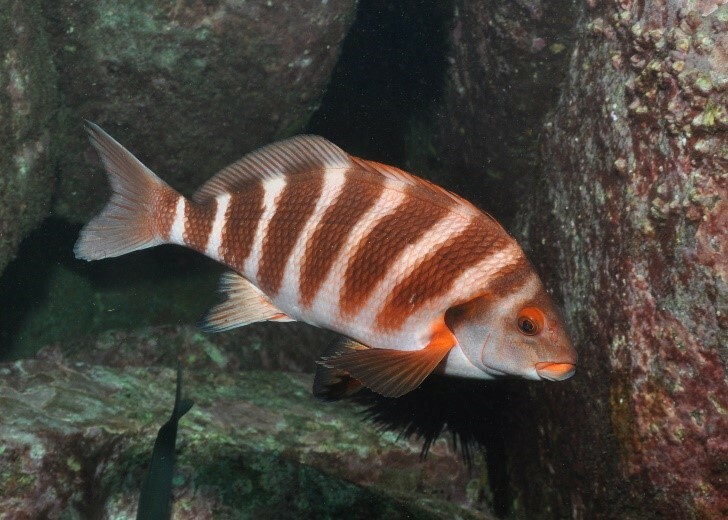 Banded Morwong are large, sedentary fish that inhabit temperate reefs around south-eastern Australia and New Zealand. They are long-lived, capable of reaching ages of at least 97 years. The fishery for Banded Morwong in Tasmania has undergone a number of management changes since its inception. Prior to 1987, the fishery was largely open access, with few regulations in place. Commercial fishing for the species began in earnest in the early 1990s, when a targeted fishery started to supply domestic live fish markets, particularly in Sydney and Melbourne. Catches rose dramatically over the first half of that decade, jumping from less than 10 tonnes per year to a peak of 145 tonnes in the 1993/94 fishing season. A number of management strategies were introduced in the mid to late 1990s to curb catches and limit fishing effort, including an interim non-transferable ‘live fish’ endorsement in 1996 and a species-specific Banded Morwong license in 1998. A quota management system with a Total Allowable Catch (TAC) was introduced in late 2008 to the east coast fishery. In addition, the fishery is currently managed by a combination of limited licenses, gear limitations, size limits, a two month annual spawning closure, and possession limits for recreational fishers. 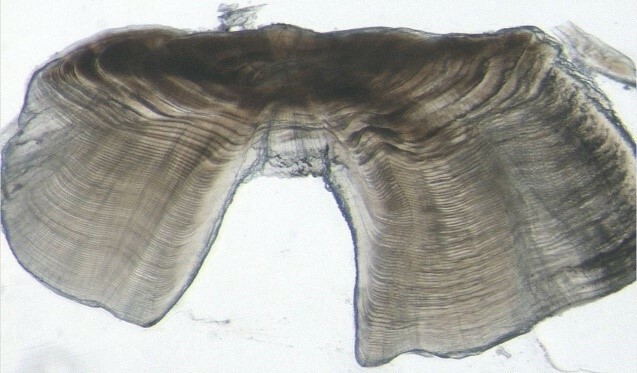 Banded Morwong in Tasmania are assessed on the basis of biological characteristics, trends in catch, effort and catch rates, and through the use of a formal limit reference point, whereby a spawning stock biomass (SSB) of 30% must be exceeded in five years (2022) with a 90% probability. The total commercial catch of Banded Morwong in 2016/17 was 32.9 tonnes, with 31.3 tonnes caught within the TAC area. Fishing effort was largely consistent with previous years, while standardised catch rates (a proxy for abundance) in 2016/17 fell slightly (by 4%) from the previous year, which represent a decline of 31% of those observed in 1996, when the ‘live fish’ endorsement was first introduced. A sampling program has been ongoing since 1995 to obtain biological information to inform assessments for Banded Morwong. Significant truncations in length and age structures have been observed since the program’s inception. For example, despite being able to live for at least 95 years, individuals older than 15 years are now relatively rare compared to the late 1990s. This can greatly reduce the population’s capacity for replenishment, by reducing the number of spawning seasons an individual can participate in. In addition, younger fish appear to be growing faster than what they did at the start of the sampling program, and female fish appear to be maturing at smaller sizes and much earlier in life. This latter observation can further limit the population’s capacity for replenishment, as larger, older females typically produce a greater number of eggs and offspring that have greater rates of survival than smaller, younger females. While there were no indications in the 2016/17 assessment that the Banded Morwong stock is currently overfished, modelling indicates that fishing pressure at 2016/17 levels under the current management arrangements will continue to deplete the stock resulting in it becoming recruitment overfished (i.e. biomass will fall below the 30% SSB limit reference point in the future). Based on this evidence, the stock status for Banded Morwong in Tasmanian TAC area waters was classified as transitional depleting.